Maud(e) Mary BLAKELY; a doctor’s daughter, born on 6 March 1874 in Fivemiletown, Co. Tyrone, Ireland. Trained as a nurse at Chelsea Infirmary, London, between 1895 and 1898. Served with Princess Christian’s Army Nursing Service Reserve during the Boer War before joining Queen Alexandra’s Imperial Military Nursing Service as a Staff Nurse in February 1903. 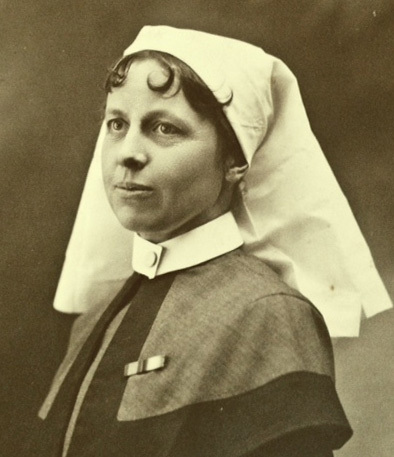 Promoted Sister in February 1904 and during the Great War was Acting Principal Matron in France and Flanders. Maud Blakely was awarded the Royal Red Cross, First Class, in January 1916, a Bar to the award in January 1919 and the OBE in May 1927. 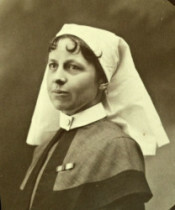 Her sister, Jane Lavens Blakely also served in QAIMNS during the Great War.